It is a huge responsibility for moderating events, especially huge ones such as Outsourcing conference and Telecommunication conference. All the speakers are experts in their fields. And the moderator is the one who will entertain and engage the audience to closely listen. 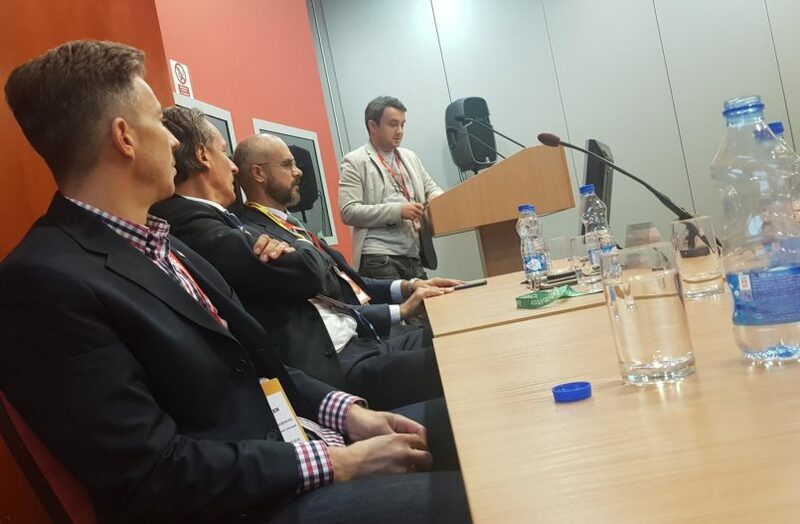 Last week our founder, Vladimir, had the great honor to be the moderator of two conferences during the first SEE IT Summit. Outsourcing conference was easy going as Vladimir has over six years experience in some of the fast-growing outsourcing companies. Since he spent most of his career in emerging outsourcing companies. Over years these companies gained the reputation as flexible, fast working and dependable. . Having great experts in speakers line up made his job even easier. First one was Milan Solaja with his view on “Outsourcing in Serbia”. Since 2010, he has been at the helm of Novi Sad-based Vojvodina ICT Cluster. 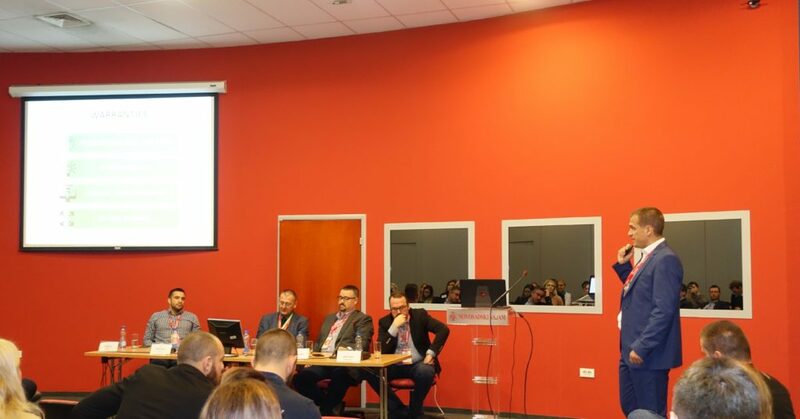 Experienced in managing international projects and knowledge of Serbian information technology sector, he helped to make ICT cluster Vojvodina one of the strongest Serbian clusters to-date. Milan made his remarks on what makes Serbia a good solution where to outsource your next project. Next guest had a bit different thing in mind. Zeljko is the founder of Solutim, the agency that specializes in digital content. Over the course of 5 years, he has been working with his outsourcing team on over 800 projects with over 500 clients. Should outsourcing team consist of freelancers or in-house employees? How to deliver the project on time in both cases and have a satisfied client while still being able to offer a competitive price. We heard about creating relationship among employees and teams through outsourcing, pros, and cons of outsourcing teams versus having your own employees. After that, we heard about the legal side of IT from Nemanja Zunic. While in London, he developed a niche expertise within the IT sector by advising a variety of technology enterprises from start-ups to established IT companies. He is IT & Intellectual Property lawyer and Partner at Zunic Law Firm. Nemanja was telling us about Key aspects of Outsourcing Agreements. So, now that we learned about the key aspects of the agreements in outsourcing. We made a turn back on what happens when the project is not strictly defined. Zoran Vujkov has 21-years experience in IT, Finance, Education, Multimedia. Technical expertise based on 10 years as a “Hands-on” Team Leader and SW Engineer. He spoke about why so many companies struggle with Scrum. Telecommunication conference was a real challenge! With no hands-on experience in telecommunication, moderating this conference was a real challenge for Vladimir. He was neck to neck with prominent experts from big Telco companies such as SBB, Sellex Telecom, Composite Technology Team, and TRS. Obviously, communication is an important part of our everyday lives. In the past, people were trying to come up with different ways to deliver messages. We’ve come a long way from smoke signals and drums. Today we can’t imagine the world without instantly delivering any piece of information to anyone around the globe. Telecommunication is the transmission of signs, signals, messages, words, writings, images and sounds of any kind by wire, radio, optical or electromagnetic systems. But the point is that it’s all around us, making our lives the way they are – connected, fast, and enjoyable. Imagine having to start a fire anytime you wanted to order a pizza or send a pigeon to order a cab. Telecommunication still remains a key for survival and success. To be able to connect everyone in the world we launched satellites. Now we are able to cover the Earth with self-sustaining air vehicles that take advantage of weak winds and solar energy, lower the high cost of launching satellites far into orbit and still have the same effect. This is something the first speaker Petar Vojinovic was talking about. Followed by an interesting presentation about how integrated telephone and Web services can be adjusted to business. Nenad Sakovic from Sellex Telecom presented this innovative idea. And Srdjan Tomasevic from SBB gave us a sneak peek inside their robust data center. In the end, Miodrag Kovanovic from TS told us about infrastructure challenges of Data centers and smart buildings and how connected devices use various signals in order to be connected in one big IoT system.